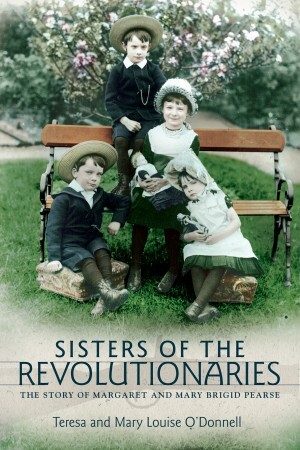 Sisters of the Revolutionaries: The Story of Margaret and Mary Brigid Pearse By Teresa and Mary Louise O’Donnell on Wednesday 16th May at 7.30pm at the Rosary Pastoral Centre. This talk focuses on the lives of Margaret and Mary Brigid Pearse, sisters of Patrick and Willie who were executed for their roles in the Easter Rising of 1916. The Pearse sisters have long been overshadowed by their famous brothers but they too travelled interesting paths in life. Margaret was an Irish language activist, politician and educator, working with Patrick in founding St Enda’s School and taking the school into her own hands following his execution. Mary Brigid was a musician, teacher, actress and author of short stories, children’s stories, and dramas, but did not agree with her family’s political activism. Margaret and Mary Brigid never enjoyed a close relationship like Patrick and Willie; however, they both shared a deep affection for their brothers. An examination of the lives of Mary Brigid and Margaret provides a new perspective on how Patrick managed to realise so many of his pedagogical and cultural ambitions, namely through the unstinting support of his parents and siblings. One of the recurring themes of this book is the profound influence that the stable and loving home life enjoyed by the Pearse siblings in their childhood had on their adult lives. Their father, James, often wrote of his desire to create a happy home. Patrick, in his autobiography, frequently spoke about his wish to always be ‘at home’ and Mary Brigid entitled her book The Home-Life of Pádraig Pearse. For Patrick, Willie, Margaret and Mary Brigid, their home was the centre of their lives, the foundation on which everything was built and from which everything could be accomplished. To understand any of the Pearse children, particularly Patrick, one must consider the family that nurtured and shaped them. The Pearse sisters were from a typical middle-class background; they were well-educated and instilled with the confidence to pursue writing or educational projects, and were not compelled to eke out a living through paid employment. They had the potential to achieve so much, but their lives were transformed after Easter 1916. The sisters’ responses to their brothers’ actions contrasted greatly. Margaret described the Rising as ‘tragic but glorious’ and from 1916 until her death in 1968, she attended State and public ceremonies in honour of her brothers. Indeed, she and her mother were largely responsible for contributing to, and perpetuating, the myth or cult of Patrick Pearse after his execution. Mary Brigid, who was of a ‘delicate’ disposition, struggled to come to terms with her brothers’ deaths. After the Rising, Mary Brigid opted to steer clear of their political legacy and focus instead on her literary career. She found it difficult, however, to carve out an identity and a career for herself which was separate from her family name. Teresa and Mary Louise O’Donnell provide a fascinating insight into the lives of the lesser-known Pearse siblings. Their talk illuminates Margaret and Mary Brigid’s relationship with their brothers, but also the poignant disintegration of their own relationship following the death of their mother in 1932. Teresa O’Donnell is a harpist and musicologist. She was awarded a Foras Feasa fellowship to pursue doctoral studies at St Patrick’s College, DCU, which she completed in 2012; she also lectured there. Her research has been published in the Journal of Music Research Online and the Journal of the Society for Musicology in Ireland. Mary Louise O’Donnell is a harpist and author of Ireland’s Harp: the Shaping of Irish Identity, c. 1770-1880 (2014). She has published widely on topics relating to Irish cultural history, semiotics, and performance studies. Her research has been published in Utopian Studies, Éire-Ireland, and The Encyclopaedia of Music in Ireland.